I would love to show you some awesome table decorations done by my dear friend, Kathryn Allen. 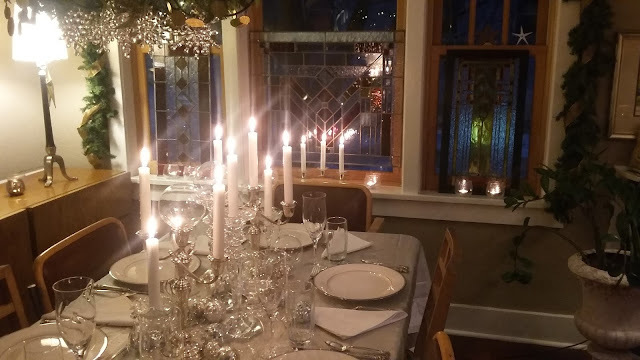 She sets a lovely table. If you are having a party, we would love to help you decorate your table and room using the settings you already have. 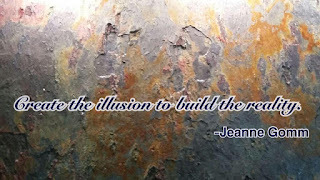 You would be surprised at what we can put together from what is already on your very own shelves. 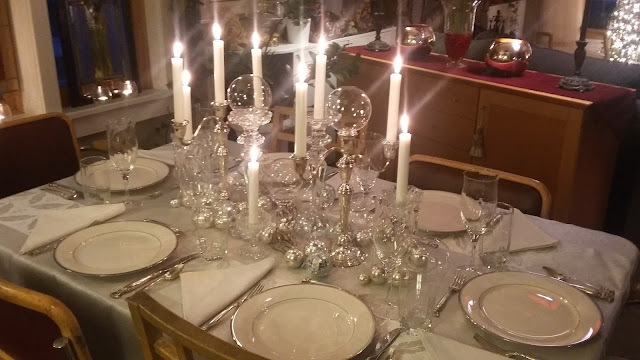 These decorations are inexpensive clear balls and candelabras found at a second hand store. 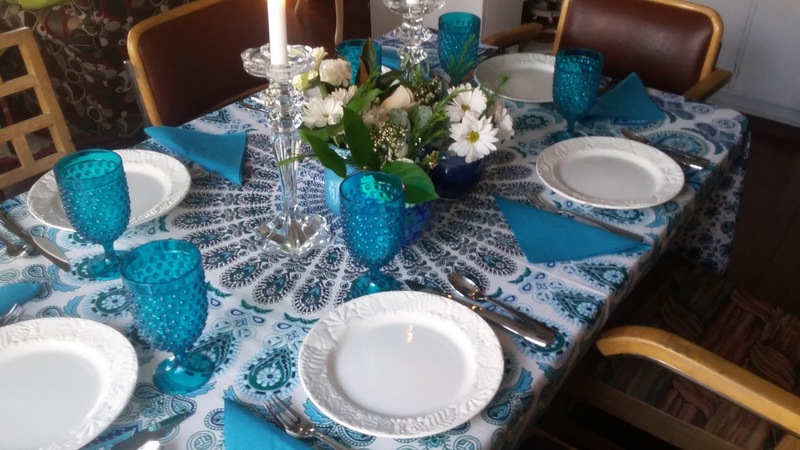 You can set a beautiful table without spending a lot of money. The stained glass in the background is also something we make and sell to beautify your home. 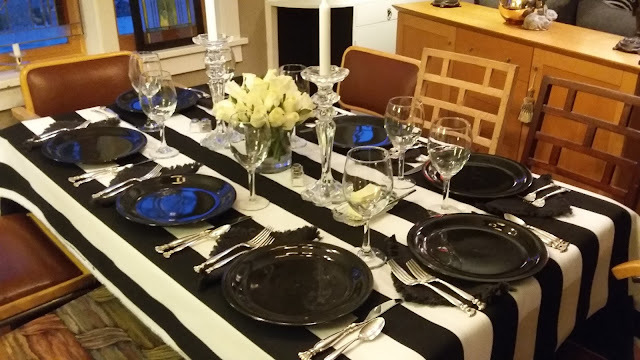 This is a Black and White theme with dollar store glasses and striped fabric. The most extravagant things on the table are the roses. We all dressed in black and white for this party. It was great fun. Here is another view of the black and white theme. Here is a gorgeous blue table. You wouldn't know it but the goblets are plastic. 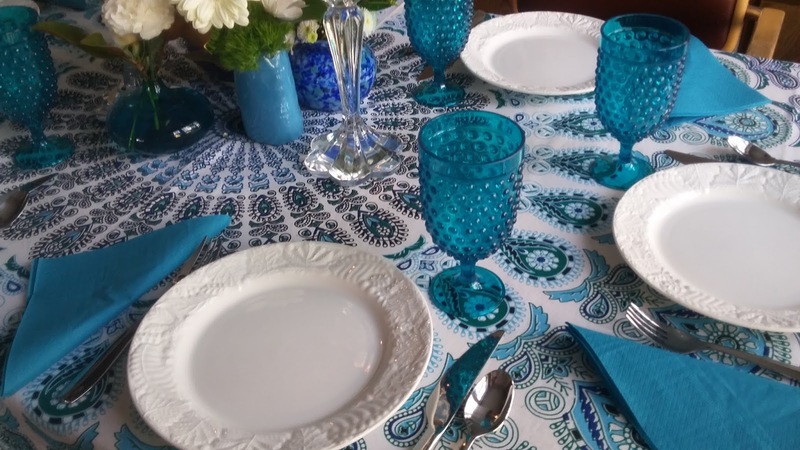 The white plates can be used for so many color themes. 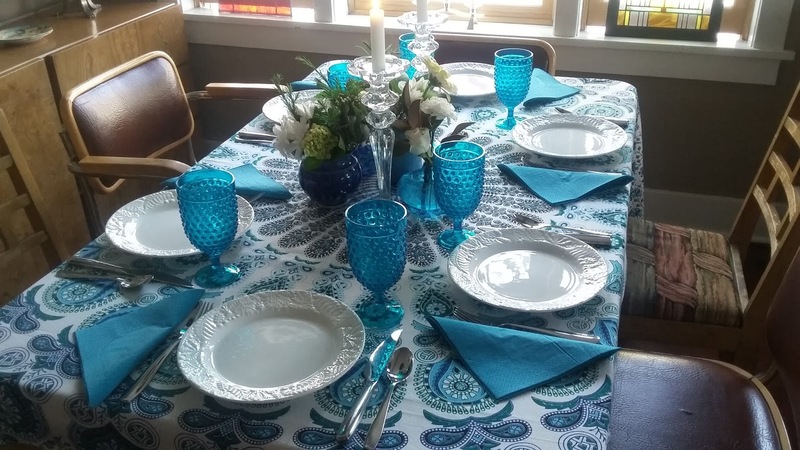 Another view of the blue table. The white daisy arrangement is the perfect center piece. We also arrange your flowers for you. 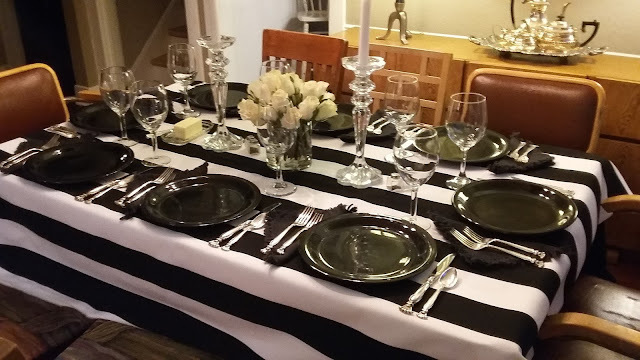 A table cloth can be you starting place to arrange the rest of your table. A few small vases with flowers are just the thing to lend a finishing touch. What do you have in your cupboards that you can surprise your guests with? Let us bring out the creative side to the decor you already have.